The Gilian GilAir-3 air sampling pump provides flow rates from 850 to 3000 cc/min standard, 5 to 500cc/min with a constant flow low flow adapter, and 1 to 750 cc/min with a multi flow low flow adapter. It provides constant flow control within 5% of the flow rate setting after calibration, requires no special tools to set the flow rate, and features an external filter housing for visual inspection. The Gilian GilAir-3 can be ordered with a NiMH or NiCd battery, and with or without a clock display and delayed start capabilities. 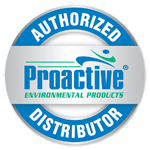 The filter can be easily inspected via an external, clear filter housing. 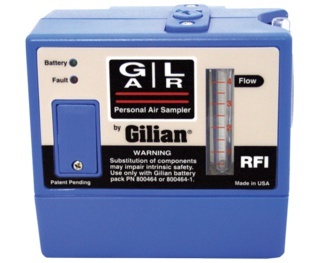 The Gilian GilAir-3 immediately notifies the operator if flow deviates 5% from the flow rate settings, and indicates if at least 8 hours of runtime remain. Optional clock models add a real time clock display, and programming models add both a clock and delayed start capability. Optional low flow modules can provide flow rates down to 1 cc/min.